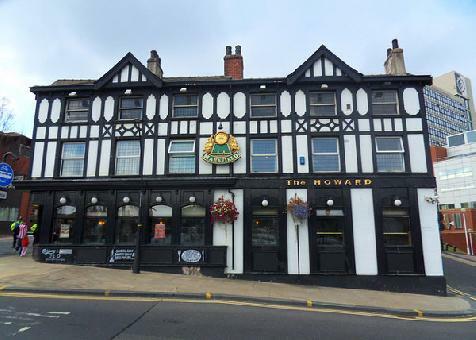 The Howard is located near Sheffield Hallam University City Campus on Howard Street, Sheffield. The venue is part of the Marston's Taverns pub chain and offers good value pub food and drink. The drinks on offer, includes a wide variety of cocktails, cider, wine, spirits, draught and bottled beers. Regular guest ales being served from breweries including Jennings Brewery and Wychwood Brewery.